Rumor has it that Steve Jobs will be in NYC on Tuesday for an event in which it is expected Verizon will announce they will begin selling iPhones. Steve flies a Gulfstream V, registration N2N. It’s blocked from public trackers. Chances are he’ll fly into TEB, LGA or HPN, but who knows? The Reward: a $50 iTunes Gift Card, 1 billion Planespotter Street-Cred Points, and maybe attention from some big tech blogs. Photo must be submitted before 11AM Tuesday. Email photo(s) to [email protected]. Anonymity can be guaranteed if you request. We just want the photo, we don’t care how you get it, as long as you don’t do anything illegal. We don’t want you to get fired, either. We are still working on what the reward will be, but we can say it will be something substantial, like a decent size gift card or a wad of cash. If you happen to know when/where the plane is coming in, either post it here, or if you’d prefer to remain anonymous, email tips to [email protected]. Fine print: As you probably realize, despite the iTunes card prize, by no means is this contest endorsed or sanctioned by Steve Jobs or Apple or anybody else. By submitting a photo, you maintain ownership of said photo, but you grant NYCAviation permission to use it for any purpose. You will always receive photo credit whenever the photo is used. Planespotter Street Cred points are not redeemable for anything other than the respect and admiration of your fellow planespotters. Virgin America has quietly named one of its Airbus A320 aircraft, "Stay Hungry, Stay Foolish," in honor of a famous quote delivered by the Apple founder. 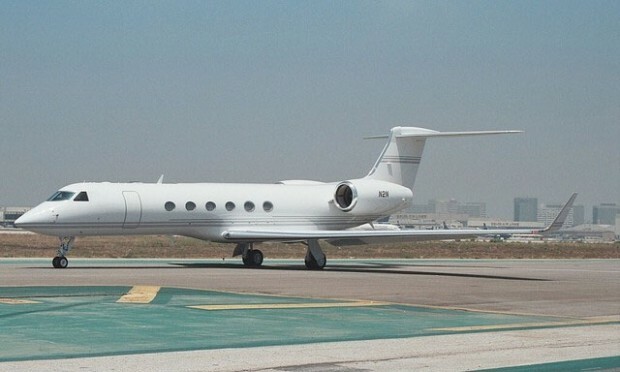 Apple shares were down over $1.70 in Tuesday afternoon trading after markets learned that a $50 iTunes gift card being offered by NYCAviation for photos of Steve Jobs' Gulfstream landing in New York would not be purchased.